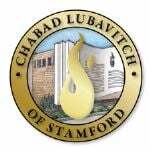 Chabad Lubavitch of Stamford is dedicated to providing a full spectrum of programming catered to men, women, couples, families and children, giving each a taste of an authentic, warm Jewish experience, in the Stamford area. Comprised of multiple organizations and programs, Chabad Lubavitch of Stamford provides the education and means to promote Jewish awareness, knowledge and practice through outreach, education and social services ensuring Jewish continuity. Some of our programming and events are Holiday Celebrations that have given thousands joyous holiday experiences, Jewish Women Connected, Betsy’s Buddies, Loves of Love, Parenting Conference, religious and social services during the year, and ongoing counseling and support. Gan Yeladim Preschoo l is a safe, loving, and inclusive learning community where children, families, and staff feel welcomed, accepted, and supported and where individuals are empowered to contribute their unique experiences, interests, abilities, ideas, and questions. Our mission is to provide our children, families, and staff with a positive, meaningful experience of Jewish values and traditions, with a focus on fostering emotional intelligence, critical thinking, self-understanding, collaboration, giving, and an appreciation of the inner goodness of all people. Stamford’s Chabad Gan Yeladim has become a model of excellence and a recourse for early childhood education for schools all over the country. Friendship Circle of Fairfield County was founded on the idea that within each person is a soul, regardless of any limitations that may surround it. The Friendship Circle's unique approach brings together teenage volunteers and children with special needs for hours of fun and friendship. These shared experiences empower children with special needs, while enriching the lives of everyone involved. As one of the fastest growing Jewish organizations in Fairfield County, the Friendship Circle’s wide array of innovative programming promotes a greater awareness and understanding of both the unique needs and the unique gifts of those with special needs, and encourages respect and empathy for those facing difficult challenges. SAJE is the Lifelong Learning Division of Chabad of Stamford. Whether you prefer a lecture, a weekly class, a private discussion with one of the Rabbis or Rebbetzins, or one of our featured courses, SAJE has something for you! Hundreds of people in our community have found themselves enriched and fortified by their lifelong Jewish studies. Every program provides its participants with advanced and innovative learning opportunities and continued growth. Youth is life at high energy. Chabad provides a Jewish focus for that passion. Our Youth programs include: CKC, Chai Five, POGS after school weekly Youth Clubs for school-age children, Bat Mitzvah Club, and the teen volunteer programs of Friendship Circle. All of these programs reach out to the young people in our community and get them involved, committed, and excited. Shul at Chabad Lubavitch of Stamford is not a synagogue-services at Chabad are learning experiences. The Torah reading is interactive, the kids groups engaging, fun and amazing, and the Kiddush Farbrengen each Shabbat is where it all comes together. This year a new program, Friday Night Live, is a monthly Friday night experience with a spirited Kabbalat Shabbat, special children’s program, followed by a smashing Kiddush, all in an hour and a half. Chabad encourages positive action on the part of every Jew and facilitates the efforts of every organization or group to increase Jewish knowledge and observance. For more about Chabad Lubavitch Click Here.